Whenever you want to just search for something in the app Simply select the search field on the lower left. Yup! It's that simple!! Once you have selected "search items" you will then have the option to enter in the search field. Enter in anything you want to search for. 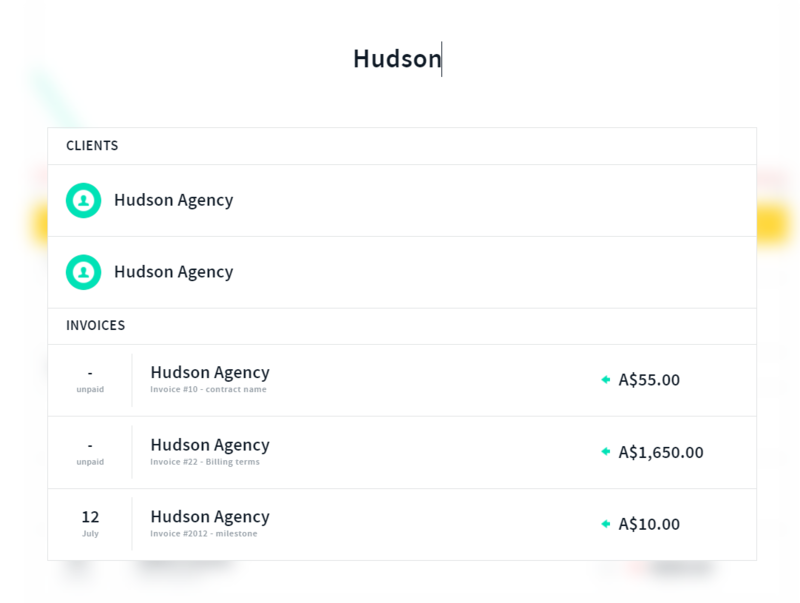 In this example, I typed in the search field "Hudson" and my client Hudson as well as recent/outstanding invoices were displayed. Go ahead, give it a try (we know you want to)!